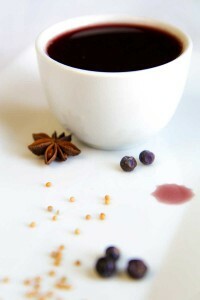 If you have not already prepared the reduction of wine, put on the fire the wine with spices (click here to read the recipe). Alternatively, cook the wine and spices directly with the onions, but in this case the flavor of the sauce will be less intense. Melt the butter in a saucepan already hot. 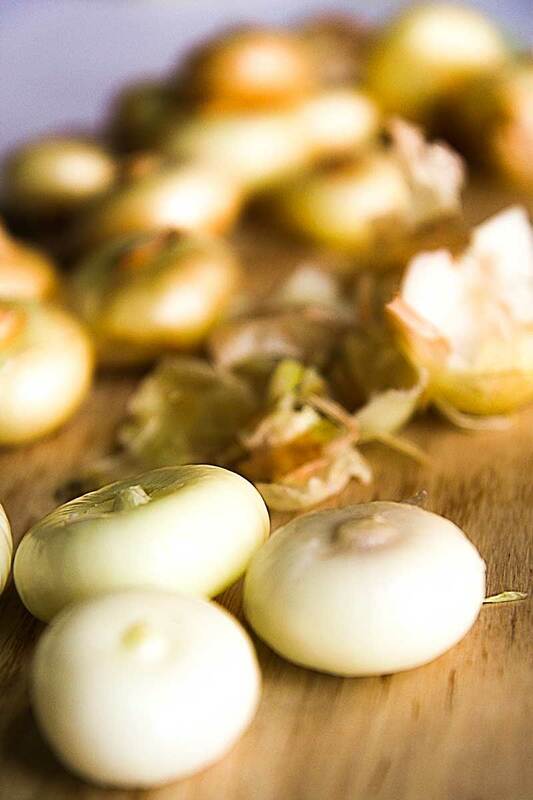 When the butter is completely melted, pour the cipollini onions and stir-fry 10 minutes until they are lightly browned. Now, add sugar and cook 10 minutes over medium heat covered, turning halfway through cooking the onions. 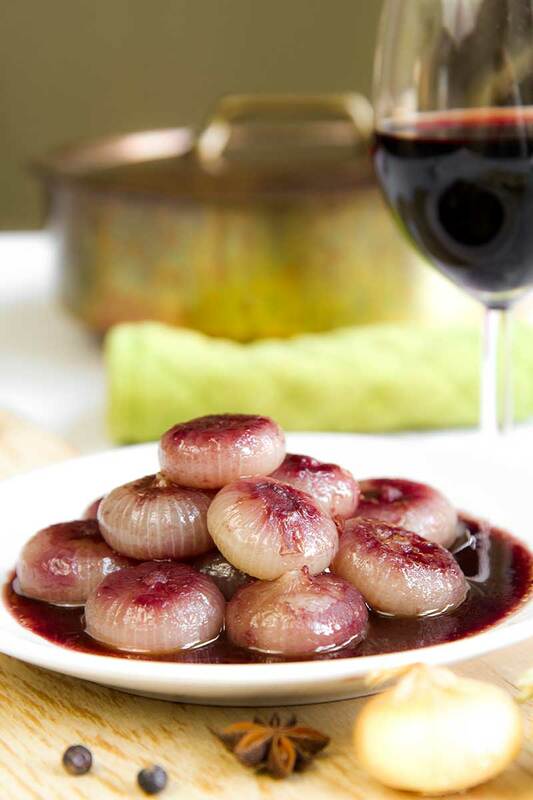 Pour the wine reduction in the saucepan and braise 40 minutes the cipollini onions covered, turning halfway through cooking. Finally, remove the lid and cook 20 minutes more, until the wine sauce will be reduced to about one third. 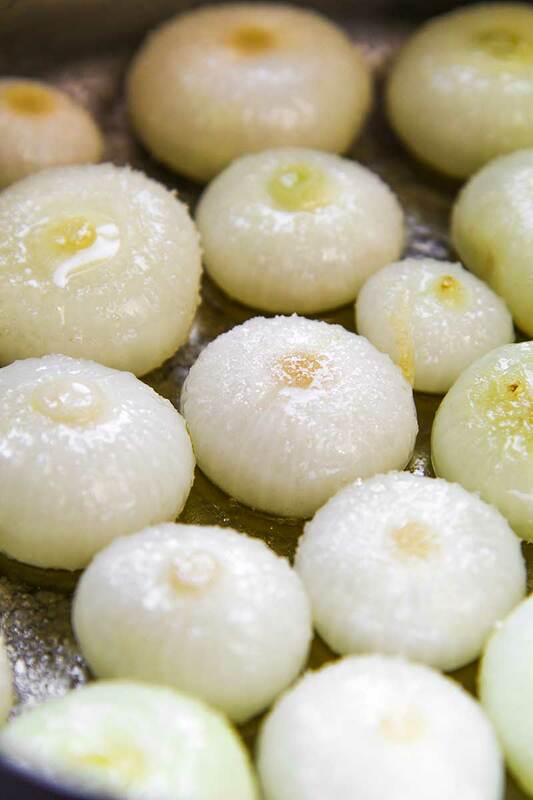 If the onions are cooked until the sauce is reduced, remove from the pan and complete the reduction of the sauce. 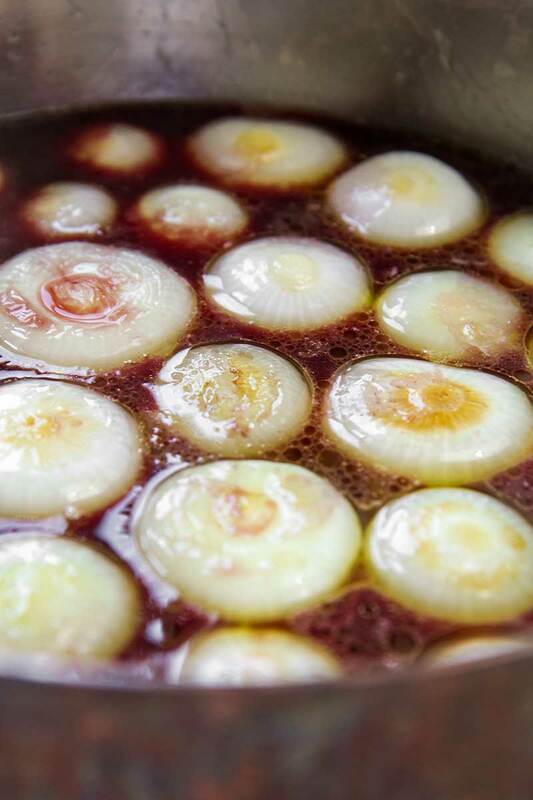 Pour the red wine sauce over the onions and braised serve hot.